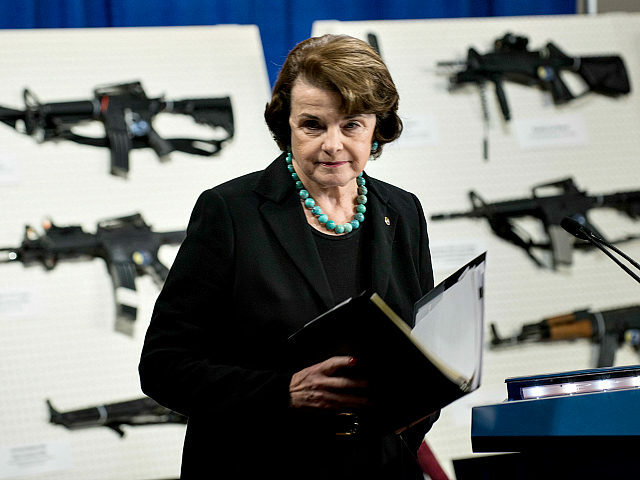 Feinstein did not point out that the schools which have witnessed shootings have been gun-free zones and the Democrats have been unwilling to change that. California offers one of the most recent examples of Democrats working to be sure teachers cannot be armed to shoot back if under attack. Moreover, Democrats consistently point to the July 20, 2012, Aurora movie theater attack without acknowledging that the theater was a gun-free zone. The San Bernardino County Buildings (December 2, 2015), Orlando Pulse Nightclub (June 12, 2016), Borerline Bar & Grill (November 7, 2018), and Henry Pratt Company offices (February 15, 2019), were all gun-free zones as well. In fact, the Crime Prevention Research Center shows that 97.8 percent of mass shootings in U.S. from 1950 through May 2018 occurred in gun-free zones. But Feinstein never talks about getting rid of these zones so citizens can be armed to shoot back. Rather, she keeps pushing the disarmament narrative, even though life after disarmed life is sacrificed in zones where the natural right to self-defense is curtailed.